Posted October 3rd, 2011 by Yvonne Hawkey & filed under Brand Information. We are so proud at Sonata to be associated with this stellar Swiss manufacturer. As a recording engineer and a huge advocate of analogue tape, Nagra was always going to have a special place in my heart. So, it stands to reason that a company famous for â€˜capturingâ€™ sound should also know a thing or two about â€˜reproducingâ€™ it. 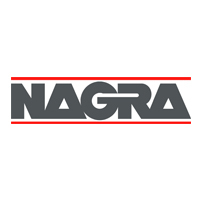 Each and every Nagra product is an instant and absolute classic. Timeless design coupled to stunning musicality. Nagra are not in the habit of replacing models every other year (like some other manufacturers) due to the fact that they always release a product that is honed to a pinnacle and is as good as they can possibly make it. Built up to a standard not down to a price. Truly a lifetime investment and something that will give countless hours of pleasure for many years to come.